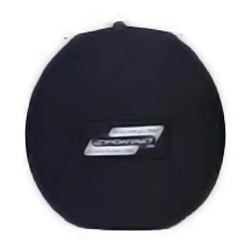 Sportaid is home to the most comprehensive range of Wheel Bags and Travel Cases online and at affordable prices. Get the protection of wheel bags made from durable material to keep your wheels and components safe during travel. 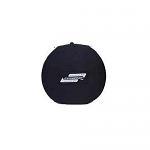 This wide variety of wheel bags and travel cases includes the Sportaid Padded Travel Case, Sportaid Padded Wheel Bags, and Sportaid Unpadded Wheel Bags. You get your choice of color that results in a unique selection of wheel bags and travel cases, and padded bags make for the perfect option while traveling. Sportaid brings you the assurance of excellent performance and comfort. Our staff of experts has picked only the best products to fill our inventory, and they are still here to provide you the confidence you need while shopping and the knowledge you need for the best use of high performance upgrades. 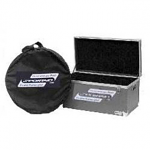 With our genuine collection of wheel bags and travel cases you can trust that you are getting the same standard of quality and performance expected from the original equipment manufacturer. To ensure a smooth and safe travel, browse through our hand selected line up of Wheel Bags and Travel Cases or feel free to call 1-800-743-7203 for expert assistance. Look to Sportaid for all your Wheelchair Sports Equipment needs and always get the most from yourself. Sportaid customers have saved as much as 21% on Wheel Bags and Travel Cases! Satisfaction is always guaranteed at Sportaid, whether you are a new customer or one who has been shopping here for years. We have been helping people find Wheel Bags and Travel Cases at the lowest prices from more than 25 years, and we have been leading the industry ever since! We offer a vast selection of wheelchair cushions, wheelchair parts, and wheelchair accessories. We are capable of beating any competitor's advertised price, just call! Our customer service staff has over 50 years of experience, plus over 90 years of combined wheelchair use experience. We look forward to working with you!